Are your dizzy and neck patients getting stuck at being 75% better? 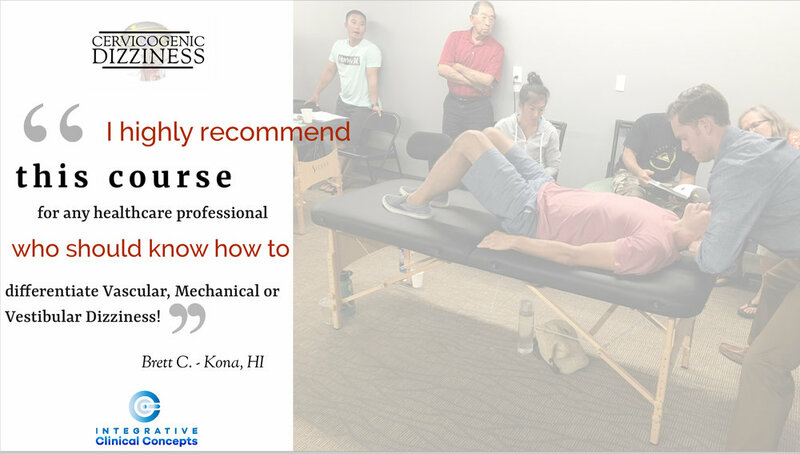 Click on image to read the blog on why you should take our class! 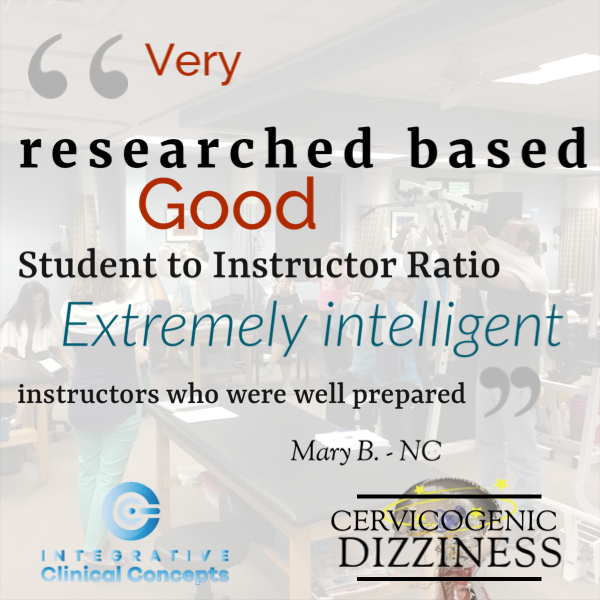 A two-day (16 CEUs) lab course that focuses on how to appropriately assess and treat patients with Cervicogenic Dizziness. We examine the single vs double entity concept with the intention to maximize your outcomes with your patients to drive greater results! On day 1, the “Optimal Sequence Algorithm” will be introduced and taught to assist the clinician in ruling out central disorders, vascular disorders and peripheral hypo/dysfunctions to assist in making a more sound diagnostic decision for cervical component as driver of symptoms. The “Optimal Sequence Algorithm” provides you the most detailed but clinically relevant approach to providing the correct diagnosis and management of cervicogenic dizziness. 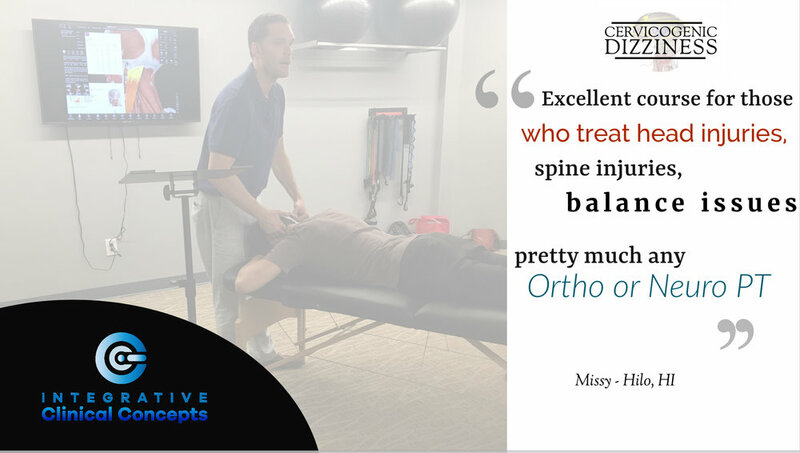 With this approach, you will ultimately FEEL safer and BE safer in addressing the upper cervical spine in patients with dizziness. 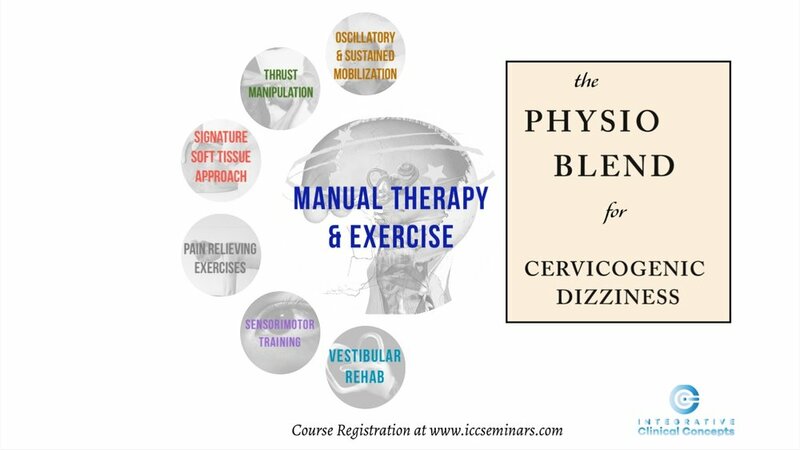 The 2nd day focuses on the management through the “Physio Blend”--which is an evidence-based manual approach on articular and contractile tissues, orthopedic, vestibular and sensorimotor approach to treating CGD. 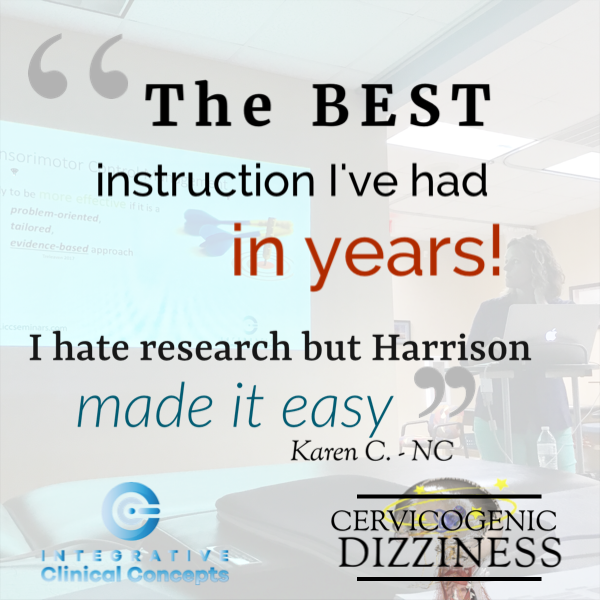 This approach takes into account for any of your backgrounds in treatment paradigms to combine your current “toolbox” and add signature techniques specifically for patients with Cervicogenic Dizziness. 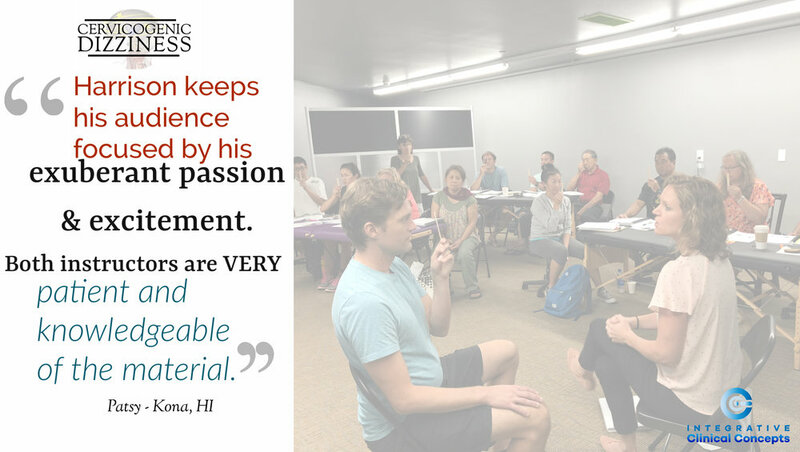 You will be taught by Dr. Harrison Vaughan & Dr. Danielle Vaughan, a husband/wife dynamic duo with advanced training in manual & vestibular rehabilitation, respectfully, that put together a package unlike any other continuing education course available! You will not find a better blend of vestibular and manual therapy from specialists in both! Are you not comfortable treating a dizzy patient’s neck? 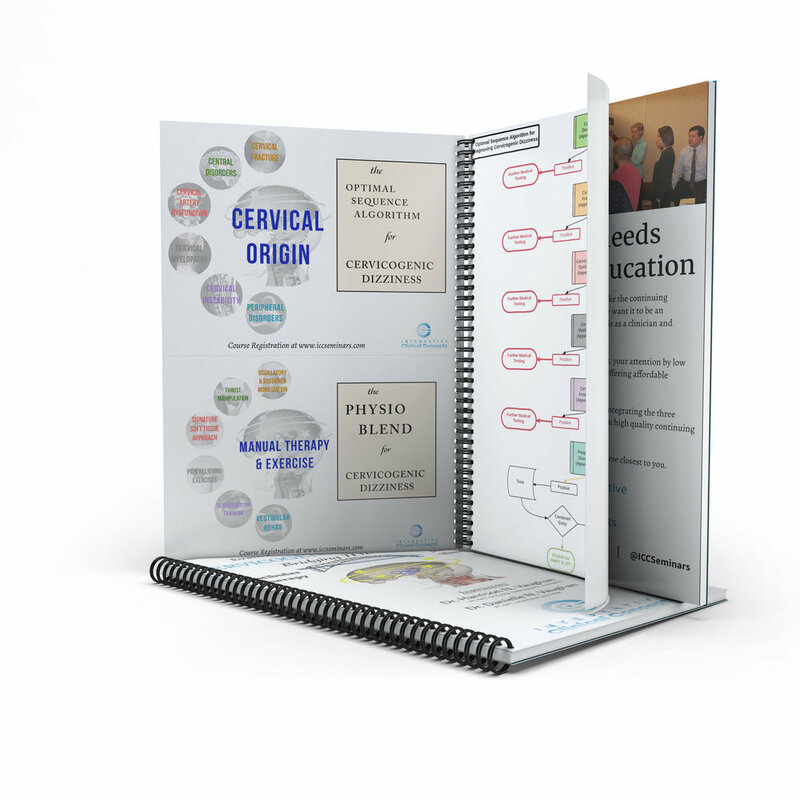 Do you want to know how to effectively treat the cervical spine manually? 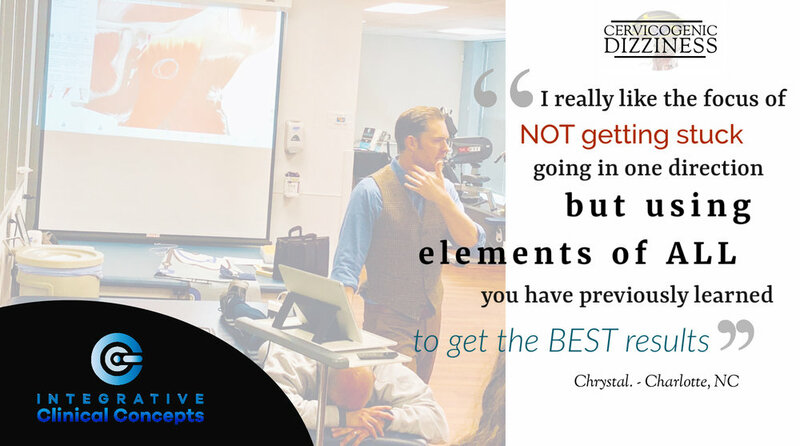 Don’t miss out on finding the missing link in your patients who just aren’t getting better. We help you get the most relief out of your dizziness/vertigo patients, concussion & whiplash patients and neck pain patients. We do this in one class. We do it with our Physio Blend of manual therapy, exercise & sensorimotor training. March 2019: Why is recent infection a precaution to orthopaedic manual therapy? January 2019: Stroke following cupping therapy AND a massage? WHAT?! December 2018: How common is Cervicogenic Dizziness? November 2018: Concussion: Purely a brain injury or are there more pragmatic treatments? October 2018: Is Osteopathic Treatment effective on Cervicogenic Dizziness? September 2018: Would you harm a patient with manual therapy already diagnosed with a concussion? August 2018: How common is Cervicogenic Dizziness in Concussion? March 2018: Finally. After 17 years, it is here. February 2018: Should you recommend surgery for Cervicogenic Dizziness? November 2017: Should you use Cervical Distraction to diagnose Cervicogenic Dizziness? October 2017: Canadian C-Spine Rule: And HOW does this relate to Cervicogenic Dizziness? September 2017: Cervicogenic Dizziness – the data needs more data! July 2017: Should you manipulate a patient with Cervicogenic Dizziness? April 2017: Cervicogenic Dizziness – should you treat the upper trapezius?